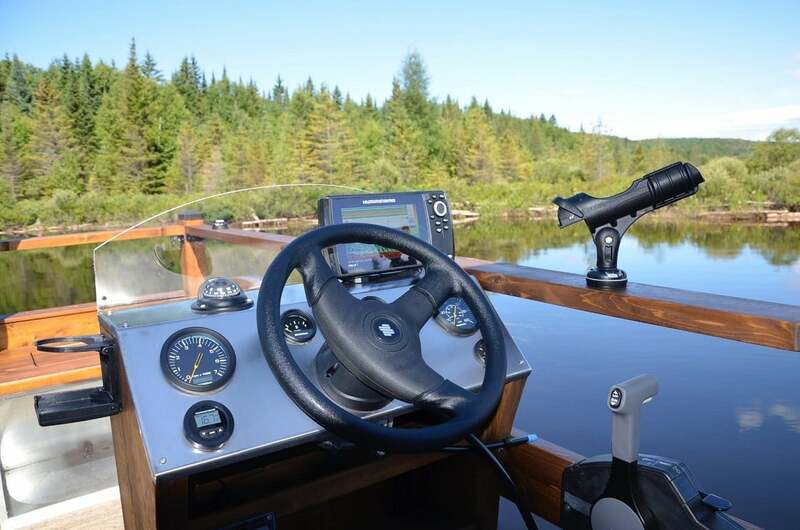 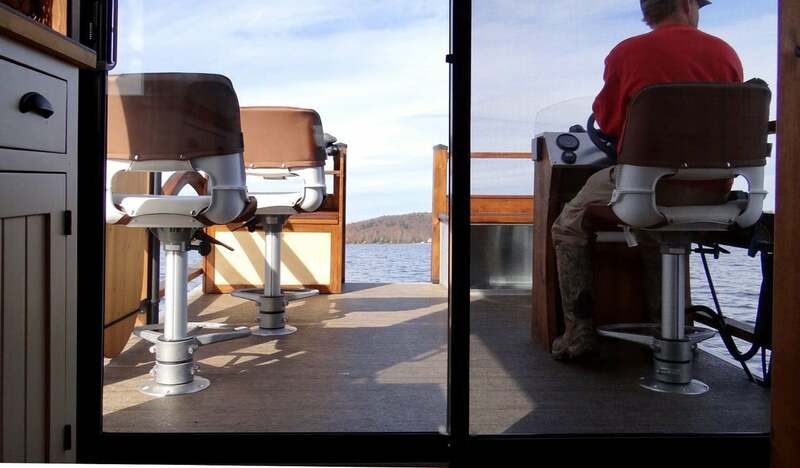 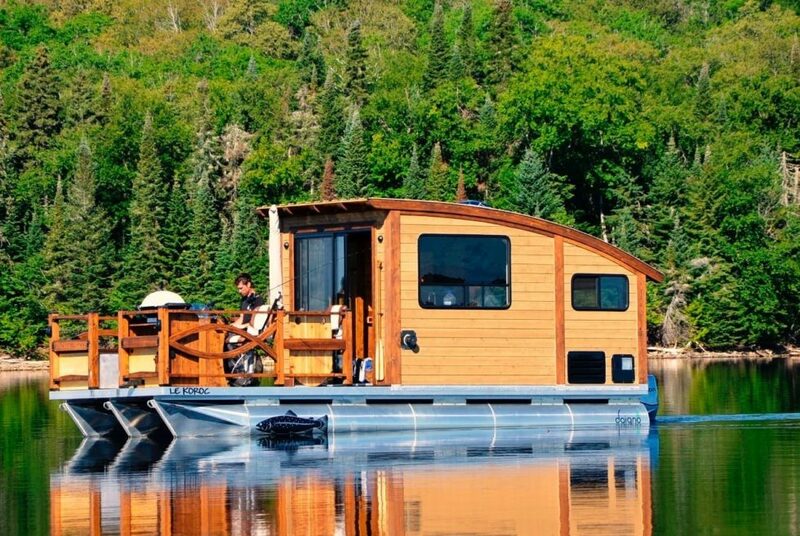 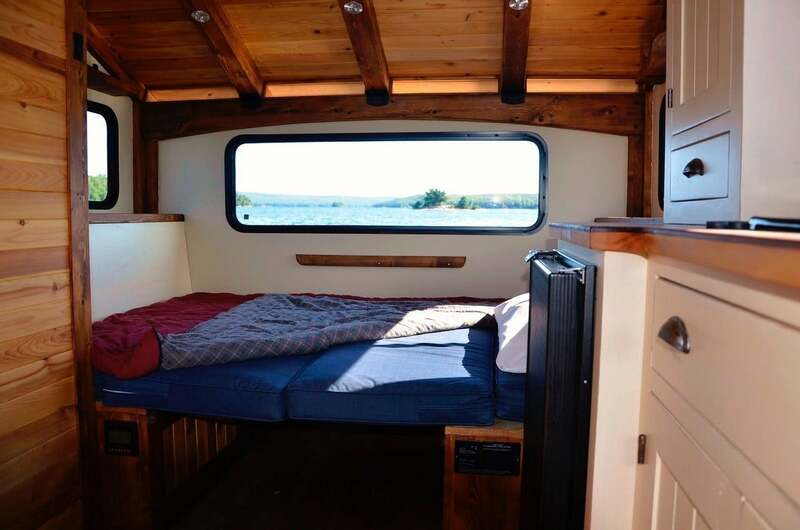 Built by Quebec’s Daigno, Le Koroc is the ultimate houseboat for adventurous fishermen. 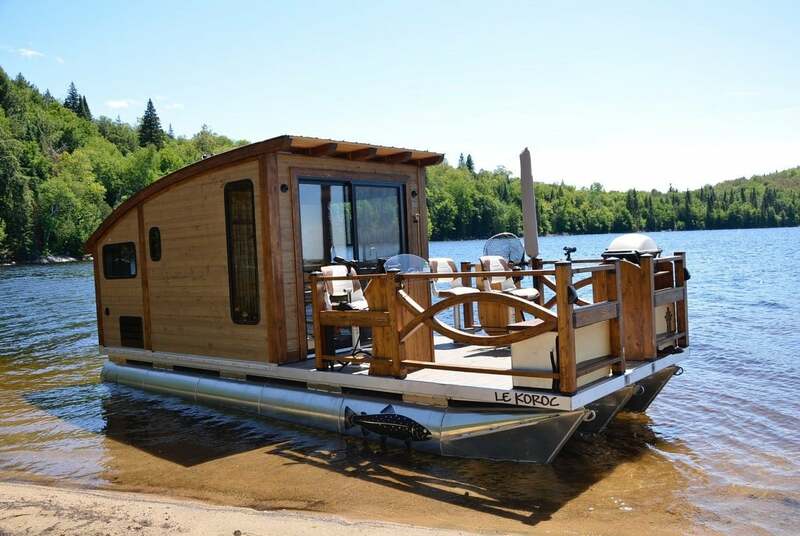 The floating tiny house measures only 26 x 8.6 ft but it’s full-packed with clever features, providing everything you need (sans the fish) for a happy life on the water. 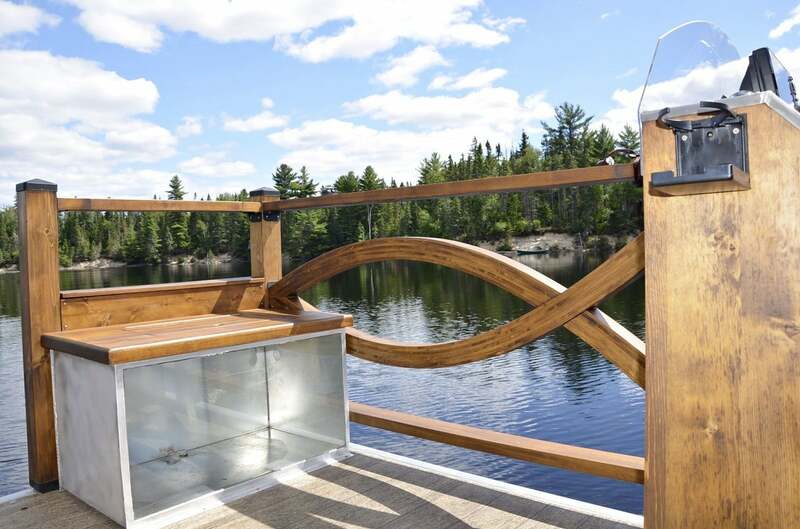 Mostly constructed from sustainably-sourced cedar and plywood, the 5,640 lb houseboat floats atop three aluminum pontoons. 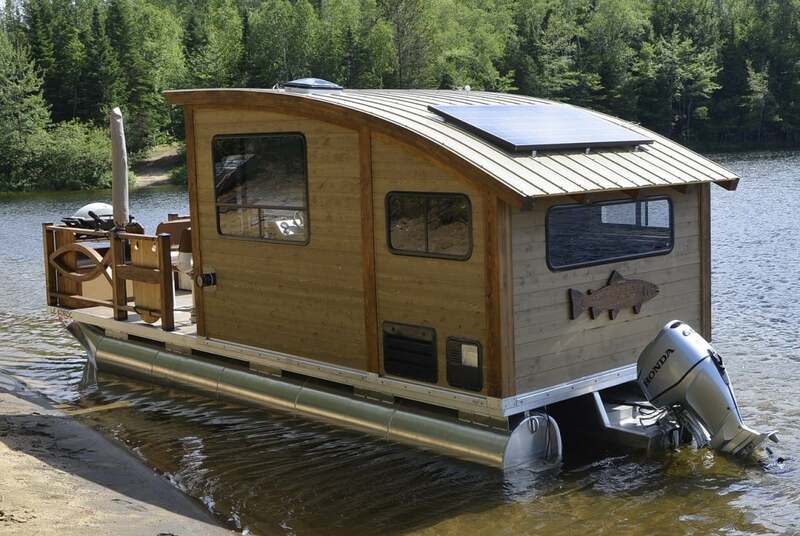 It’s powered by a 90-hp Honda BF90 VTEC outboard, while roof-mounted solar panels connected to batteries provide electricity. 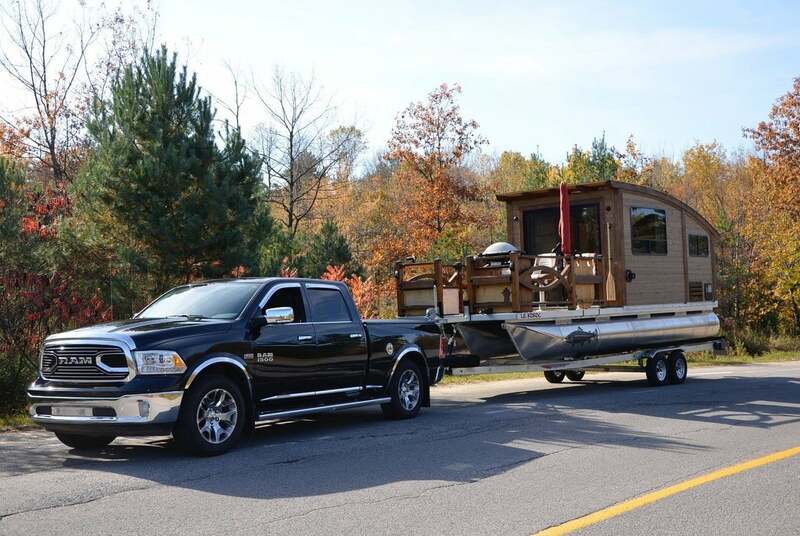 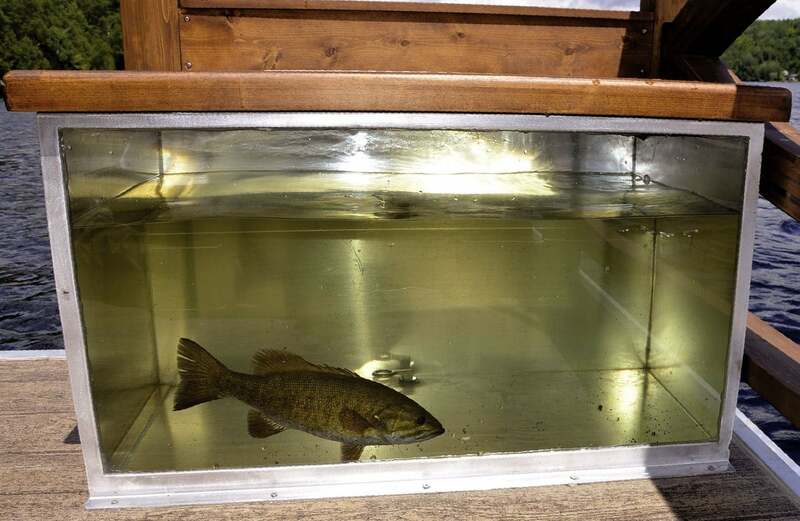 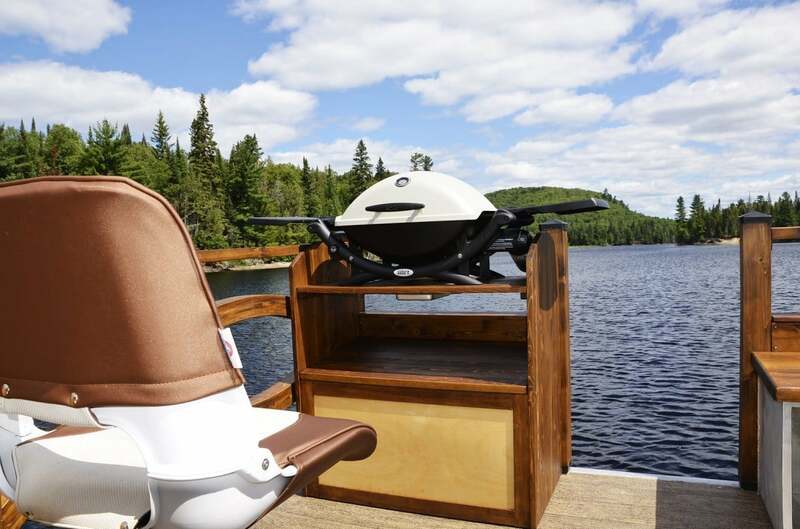 The deck area features three swivel seats, sonar system, dashboard with instrument panel, and even a fish tank that lets you store the day’s catch before you throw it on the barbeque. 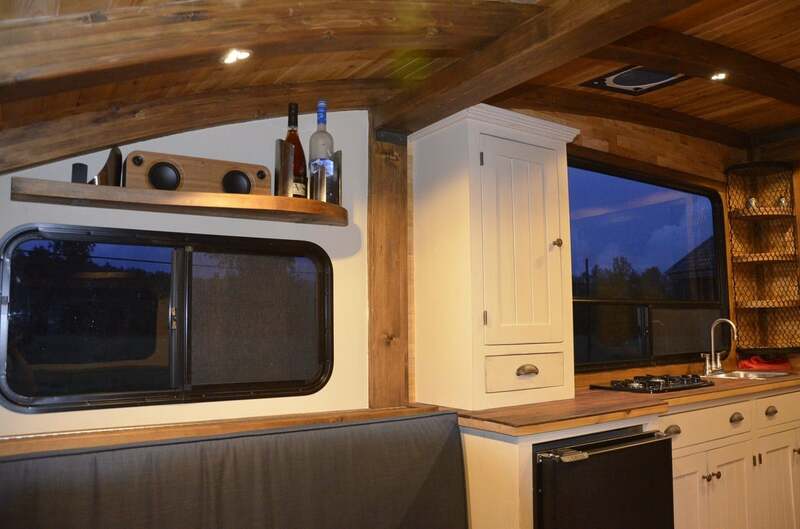 Inside the cabin, you’ll find a dining with a seating area that transforms into a double bed, as well as a kitchenette with a two-burner propane stove, sink, fridge, and plenty of storage space. 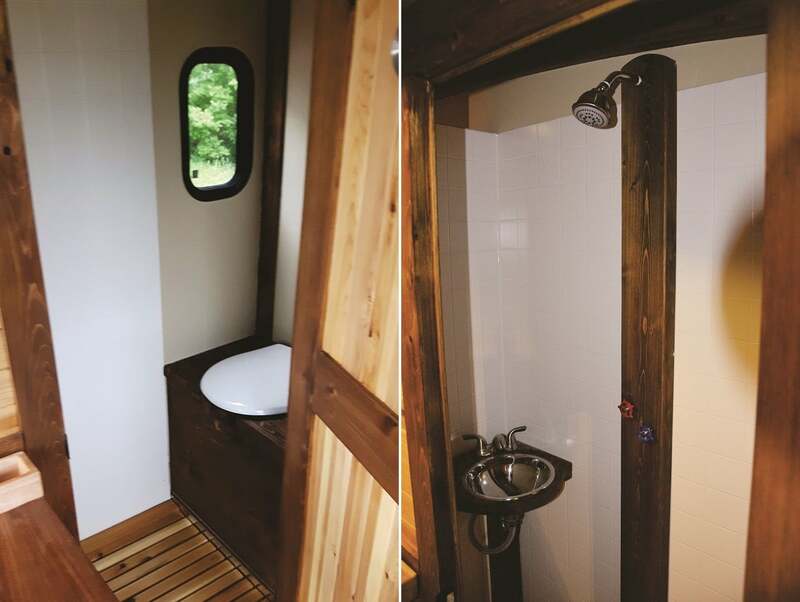 There’s also a gray water recycling system and a tiny bathroom with shower, sink, and your choice of either composting or chemical toilet. 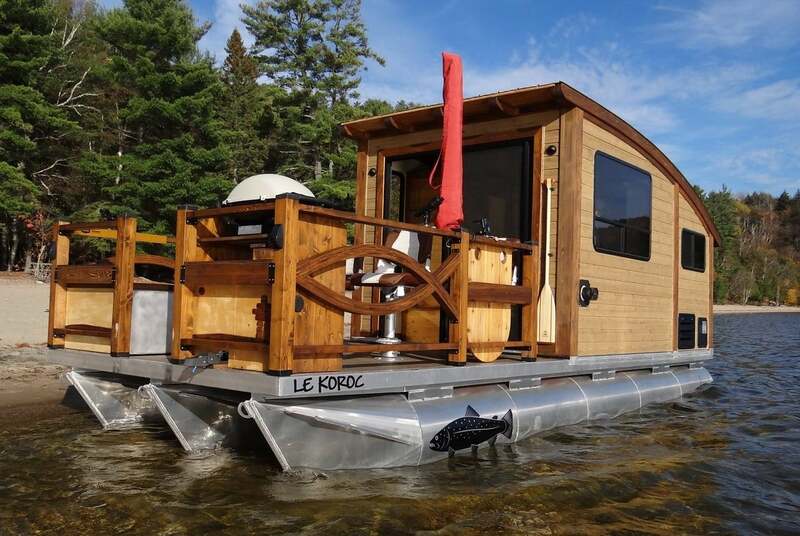 Optional features for Le Koroc include an electric anchor & motor, fishing gear, a propane heating system, and more. 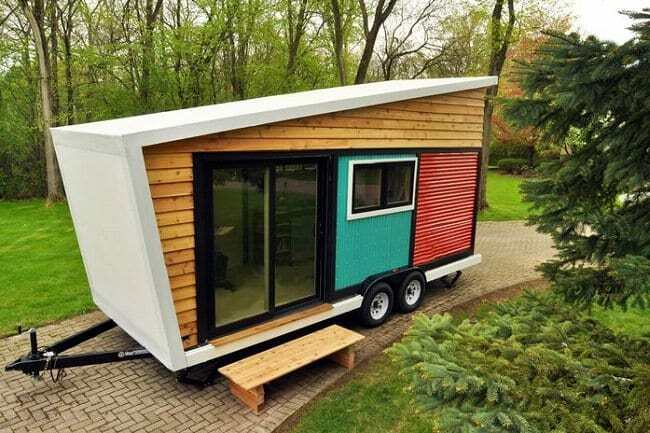 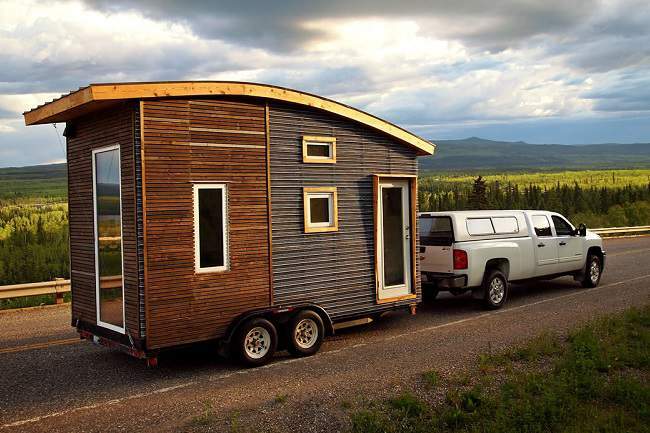 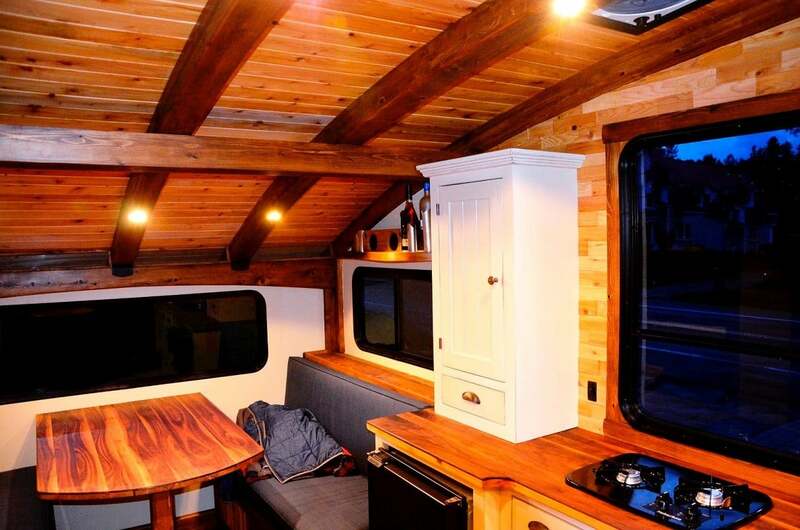 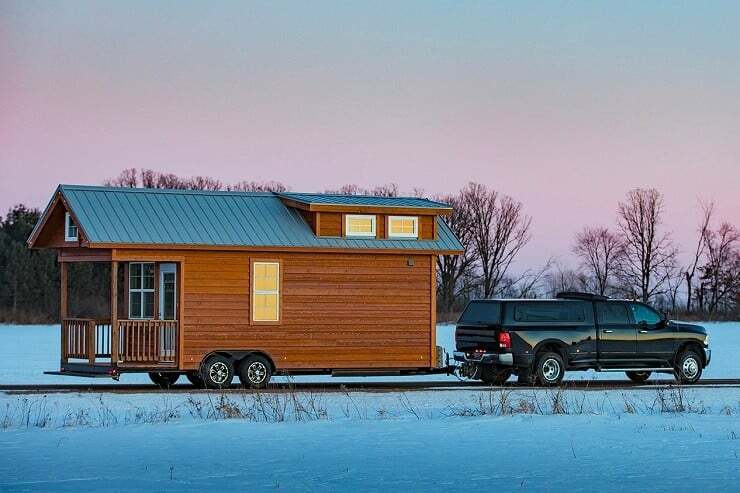 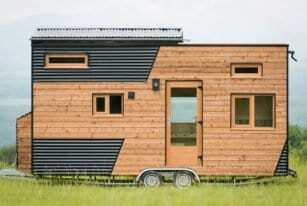 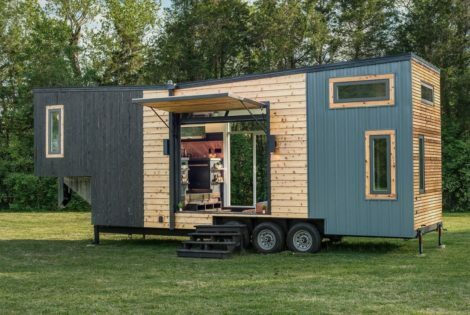 The Opti Nid Cecile cabin is a luxurious tiny home on wheels. 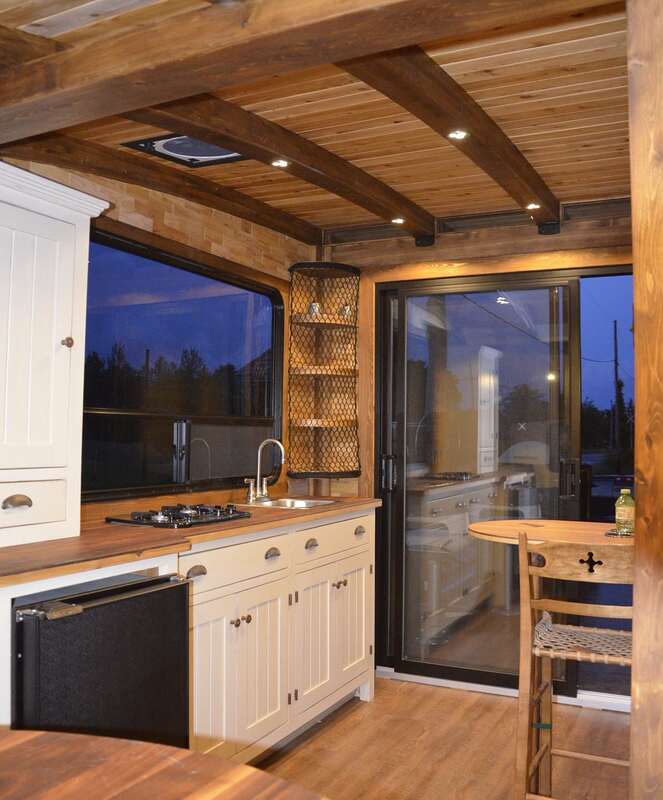 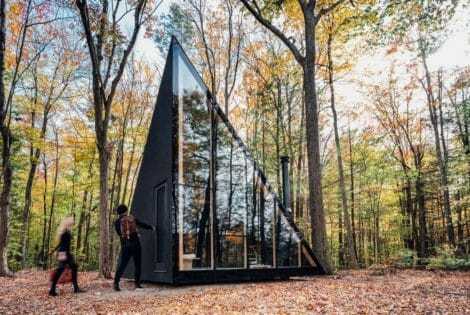 It boasts kitchen and dining amenities, bathroom, bedroom, and a sliding roof for stargazing.